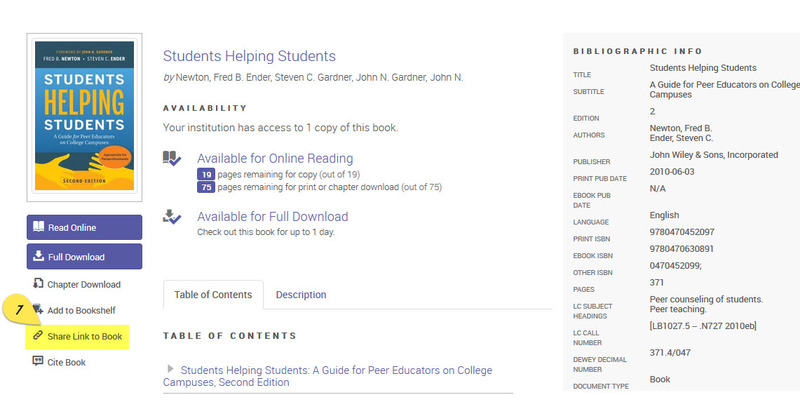 While on the homepage of the ebook you wish to share with your students, click on the on the left hand side of the page. 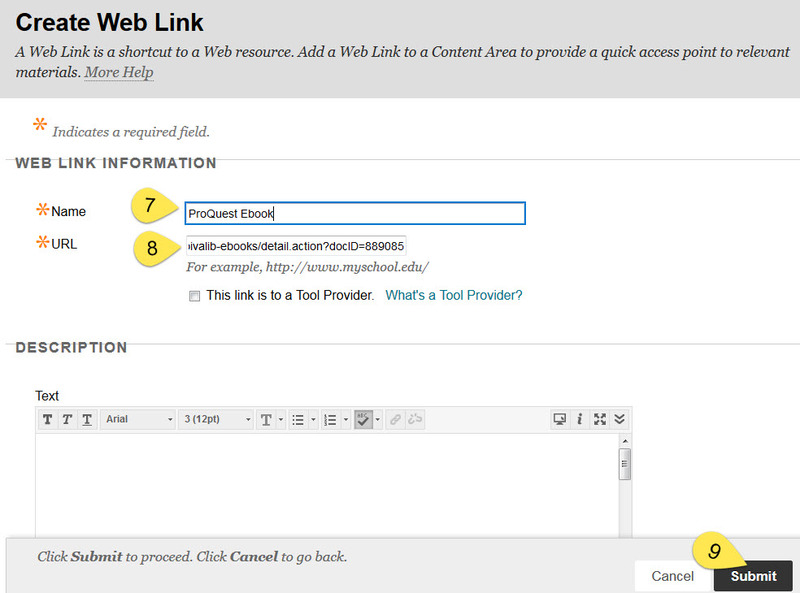 Once the link is copied log in to your Blackboard site and select the course(s) you wish to add the link to. Then select the area within that course you wish to place the link. 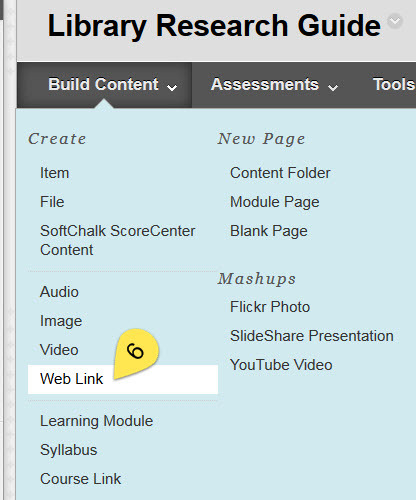 Once the Blackboard 'page' is selected, click on 'Build Content' Tab, then Web Link. 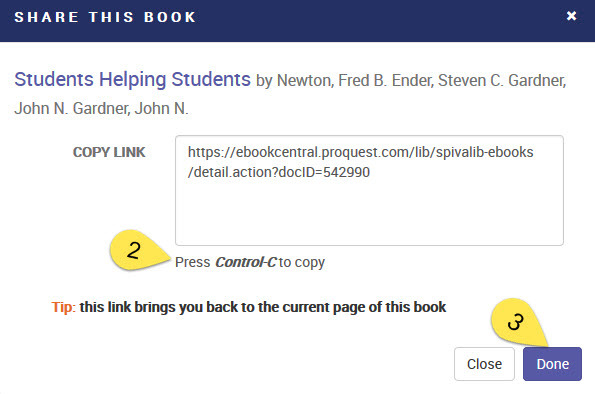 Fill in the name of your link and paste the book link in the URL box. Then hit submit.